The college admissions process is more competitive now than ever before, and ambitious high-school students need to use every available opportunity to distinguish, and prepare, themselves as candidates. Summer – that two-plus months long break from the hyper-structured school year – presents a truly unique opportunity to do something compelling that will differentiate them in the college process. So how can you plan to maximize your chances for summer success? 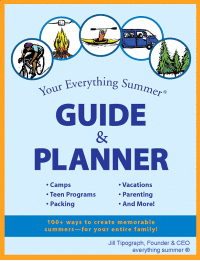 Our comprehensive Pre-College Summer Roadmap is your guide to planning meaningful, fun summers for your teen. You can read the article here, or download the infographic. We hope you find this useful!